This is a tricky one for me to rate. I remember I used to watch the movie all the time when I was little. I don't remember if I liked it; I vividly remember being terrified by the Red Bull and the harpy, but I'm assuming I liked it if I remember watching it so many times. Anyway, I have not read the book yet, so all I had to work with was my childhood memories of the movie. Overall, this adaption was good. I realize it is difficult to reduce such a long and complicated novel into a single graphic novel. The story itself seemed kind of loose and not very engaging. It just kind of flowed onward to its end point. I didn't feel very engaged with it. The characters were okay, but again, I just didn't engage with them. I watched them carry out their parts, but didn't feel like I was really in the story. Having said all of that, the artwork in this book is spectacular. Absolutely gorgeous. The style and colors are just amazing. I loved marveling over the pages as I was reading (especially the color contrast between the unicorn and the Red Bull). I have read a few graphic novels where I read the words and just like of gloss over the pictures because they aren't that exciting, but this one halts you in your tracks and forces you to examine all of the intricacies. Phenomenal. I can see this being a great book for those who love the story and have already read the book and seen the movie to really appreciate it. It definitely helps having a basic idea of the story before going into the book, because the adaptation is kind of loose. Someone who has knowledge of the story can more easily enjoy the artwork in this book. I dug up my old VHS copy of the movie and am planning to watch it again as well as get my hands on the actual novel. I'll probably reread this adaptation again after that and see if my opinion changed at all. In general, I am a fan of the 5-Minute Snuggle Stories series. They are fun collections of stories that fit a certain theme and I have yet to read one that I didn't like. This one is no exception. Plus, it gets extra points for being so cute and snuggly. This collection has a wonderful variety of classic characters (Donald Duck, Dumbo, Lady and the Tramp), Pixar characters (Toy Story, Monsters, Inc.), and new characters (Tangled, Disney Bunnies). I really enjoyed all of them. The only downside is that there are a few repeats between other collections and books. I haven't read 5-Minute Minnie Tales in its entirety, but I am fairly certain that "Scaredy-cat Sleepover" makes an appearance. While reading, I also found Toy Story's "Showtime" very familiar. It took a little detective work, but I soon figured out it was half of Buzz Off! & Showtime! : 2 Books in 1, which I read a few years ago. Searching a few of the stories, it's easy to see that some of them are pulled from other books. It's nice to have them in one collection, but will get repetitive if you read a lot of a certain character or have multiple 5 Minute Stories collections. Overall though, a great collection. I loved the illustrations. They are simply adorable. I also liked the "snuggle" theme. Any of these would make a great feel-good bedtime story. This is one of those books I've been meaning to read since forever (or at least since I read "The Lottery" in high school) and just hadn't gotten around to. Finally, I saw that the library had a copy of the audiobook and thought it would be perfect for my commute to work. I. Loved. This. Book. So. Absolutely. Much! So much that I'm okay with not using proper grammar to express my love. It is so odd and strange and creepy and weird. I'm not one of those people who necessarily always likes that kind of book (sorry Neil Gaiman), but this one was so perfect in its weirdness. By disc two, I had a feeling something strange was going on and that I had a pretty good idea of what it was, but even then I was still interested in the odd narration and strange character dynamics. I felt like I was just sitting on Merricat's stool in the corner, watching all of the weirdness unfold and it was amazing. Jackson has such a talent for creating odd atmospheres and making the reader question everything and this book is no exception. Wonderfully written with the perfect narrator to tell this story. Amazing, amazing, amazing. Such a phenomenal book. I can definitely see why people love this one so much. Now knowing what this book is about, it's not a subject matter I normally would like, but it is so well-told I can't help but love it. The more of these books I read, the more I wish they were a little more creative. Each one pretty much follows the same story arch, which is rather predictable. However, I could see them being very popular with young readers, especially those who are a bit reluctant about reading in general. The similarities between this series andEmily Rodda's Deltora Quest series grows with each book, but I find these much more straightforward and slightly repetitive. I am blown away by the fact there are over 80 books in the larger series, but again, I guess I can see young readers really binging on these. The adventure and plot in this book were still interesting, but after the first two books, this one is pretty predictable. Quick, simple read that is entertaining, albeit very similar to the first two books in the series. I found books 1-4 in the clearance bin so I will read the next book, but so far I'm not enthralled with the series enough to continue passed that. I'll admit, one of the main reasons I bought the first four books in this series from the clearance bin was because they reminded me of theDeltora Quest series. Having now finished the second book, they are suspiciously similar to Emily Rodda's books. Not to say that they are a ripoff of the series, but the whole blacksmith's apprentice sets out to save the land, collecting powerful items from each task he completes is surprisingly familiar. Anyway, overall this was a good book. As with the first one, the pace is nice and quick. I can see this being popular with reluctant young readers. A lot happens in a short amount of pages. Overall, well-written despite being less than original. A good, quick read with entertaining adventures and interesting sketches throughout that go along with the story. It took me only five days to read this book. There are two reasons I generally finish a book so quickly. I either loved it or absolutely hated it and wanted to get it over with. Sadly, in this case, it was the latter. I knew from the first day I started reading that I wasn't going to like this book. It is so disjointed, confusing, and strangely boring. Despite the drugs, accidental pregnancy, and mysterious death, this book was dull. There were way too many characters, which I couldn't/didn't have the desire to keep straight. The timeline jumps around a bunch, adding to the confusion. The reader doesn't really get to know the characters, just sees little chunks of their messed up lives before they disappear into the periphery to make room for another vignette about another messed up sister. Also, warning: this is one of those books where bad things happen to animals. For me, Twyla was the only interesting character, not because of her personality or anything, but because of the ghost story ties. Honestly, the only interesting thing about this book is that there is a little bit of ghost stuff, although "this is not a ghost story", so it's not enough to redeem the book. But I think the thing that got me the most about this book was that I couldn't quite pinpoint why it was written in the first place. I, myself, was part of a sorority for a hot minute, but eventually decided it just wasn't for me. I've always had a problem with conformity. 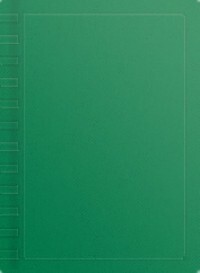 Then to read a book written by a women who opens her author bio with the fact that she was in a sorority and in her acknowledgments has a little blurb about how wonderful her sorority sisters were/are... why did she write this book that paints sorority women as crazy, boy-obsessed, shallow, selfish, drug addicts who partake in horrible hazing rituals? Sororities are already stereotyped and it was just strange to me that a woman that was in an actual sorority (and presumably liked it) would write a book framing sororities in such a horrible way. Demeaning and dull, this book just wasn't for me. Nothing really happens despite the fact that someone actually dies. The other characters just swirl around the event, too caught up in their own lives. Some books have a cast of horrible characters and pull it off, but this one was just too boring to have such irritating characters. Going into this, I didn't really know much about Busy Philipps. I'm not really a person who avidly follows celebrities' lives, despite how many memoirs I find myself reading. I've seen her in Freaks and Geeksand White Chicks so when I saw the audiobook at the library, I figured it was worth a read. I wasn't really aware of her Instagram fame so it was interesting to hear about that. Overall, the book was good. It was way heavier than I was expecting. So many celebrity memoirs are nice and fluffy and kind of gloss over the really dark stuff. This one does not shy away from those times, some of which is hard to hear. I think having Philipps herself reading the audiobook was difficult at times, because she understandably starts breaking up as she reads and you can hear the tears in her voice. This is very powerful, but not always exactly what people are looking for so I think it's good to know going in so people aren't expecting a light read. Despite the drama and sometimes absolutely horrible events recounted, the book ends on a very positive note. Plus, Philipps does an amazing joke changing her voice and accent for other "characters", which was very entertaining. There is plenty of celebrity name-dropping and drama, but overall I enjoyed the book and thought she made some very good points about parenthood, physical appearance, weight, and relationships. For a while now I have been meaning to get around to reading something by Terry Pratchett. I've heard great things about his writing, but just hadn't gotten around to it yet. Then I found a copy of this book in the Little Free Library. I loved it from page one. I am so disappointed I waited so long, but so happy I finally read this. Such a fun and entertaining book. The stories included are fairly simple and silly as they are very early stories in his writing career, complete with a few notes from his older self. I enjoyed all of them and was very entertained. I especially liked the Carpet People stories. The stories included are kind of Roald Dahl-esque, complete withQuentin Blake-style illustrations. I flew through this book pretty quickly considering it's over 300 pages long (with awesome pictures and fun fonts incorporated), because I just did not want to put it down. Can't wait to read more from Pratchett. Someday I hope to get around to reading the Discworld series. Baby steps though. This is a hard one for me to rate. While this book was powerful at times (that last page though! ), at others it fell kind of flat. And while I can appreciate the amount of bravery and self-reflection that went into telling this story, it just wasn't that interesting to me. There were nice connections and ties to various well-known books, but the story itself was so... I can't quite put my finger on the word. Sad, sorrowful, maybe apathetic. It's like looking back on your life and seeing all of the connections you missed in the moment, which I suppose is what it is; looking back on someone else's life and seeing them reflect. But it just made me feel pretty down every time I opened it up. It's like reading what depression feels like, which takes talent, but it wasn't a very enjoyable read. Overall, I thought it was good, but it wasn't something I always wanted to read. I found a copy of this book in the Little Free Library and was sad to see that the first page was falling out. I decided to take it home and doctor it up (see tips here) so I figured I might as well read it too. This was a simple little book, but leaves the reader feeling all warm and fuzzy inside. It is really just the cutest. Those baby animal illustrations are absolutely adorable. The story tells of a simple game of hide-and-seek, but those little critters really steal the show. Nice book overall. Nothing too fancy. A nice cute read. 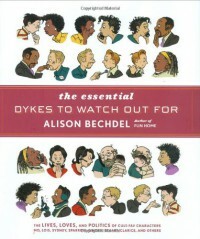 I received a copy of this book from Goodreads in exchange for an honest review. Such a beautiful and haunting book. I really enjoyed this one. 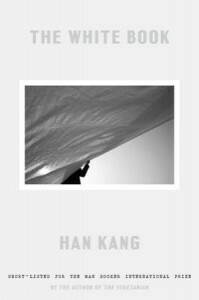 I read Han Kang's Human Acts a while ago and absolutely loved it so I was so excited when I won a Goodreads giveaway for another one of her books. While this one is different than her other work, it still evokes raw emotion and her descriptions are simply gorgeous. I really liked the idea of the book and thought it was well executed. I cannot wait to read more of her work. I found a copy of this book in a Little Free Library a while ago. I'd never heard of the series before, but was intrigued that it was written by Whoopi Goldberg. 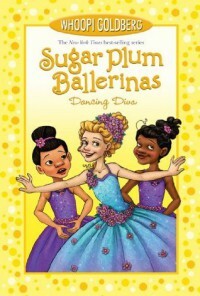 This is the first Sugar Plum Ballerinas book I have read. While it is probably better to read the books in order, this one can be easily understood as a standalone. There are a few references to events in the previous books, but no background information is necessary to read this book. Overall, I found the book entertaining. It had a good premise and I liked the message at the end. In all honesty, Epatha drove me crazy. Pretty much the first rule in ballet is that you have to do each movement a certain way. I was kicked out of ballet class as a kid and even I know that. The fact she thinks she can be a world-famous ballerina without having figured out this rule is beyond me. Her character was pretty irritating and a bit of a jerk. But I think the lesson was handled well by the end of the book. The writing is very simple, but still entertaining. It was also nice that illustrations were included since I was unfamiliar with the other characters. This was a good easy read. Found this in a Little Free Library and was intrigued by the title. Overall, this was an entertaining book. Obviously it is a bit outdated as pretty much all of the problems presented could have been solved with the incorporation of cellphones. Because of this, I think some young readers may have a difficult time with the book. Honestly, I was a bit annoyed at the start, because the kids just make silly decision after silly decision. That's probably just me being a grown up. Young readers may have an easier time seeing the story from the children's perspective. It was also a bit silly that the reader knows about the presence of the librarian from the second chapter. Without this knowledge, I think the story would have been spookier and the situations seem more dire. Knowing there is an adult is right upstairs (and being able to guess what the scary stuff was) made the plot a little dull. However, halfway through the book, I found it very interesting. I liked the scenes in which they explore various areas of the library and Jo-Beth's idea on how to save the building. The ending was heartwarming and made me smile. It really kind of felt like two separate stories from beginning to end, one spooky and one adorable. Overall though, I thought it was a good story that was well-written and interesting. A bit out of date, but could still be followed today with the knowledge that cellphone usage wasn't as prevalent when the story was written and children definitely weren't walking around with there own phones. I found this at the library and was immediately drawn in by the creepy and quirky art style. Now that I've finished it, it's a bit hard for me to rate. I'm sort of between 2 and 3 stars, but I think I have to go with 2 because, on the whole, the story was just lackluster. On a positive note, the artwork is amazing. What originally pulled me in did not disappoint. Throughout the book, the art is so weird and fantastical. I loved all of the crazy creatures and monsters, especially Phintesmo Blyme. That smile is going to stick with me for a while. However, the writing just did not live up to the promise of the artwork. Some of the wording is weird and confusing. The story arc is rather predictable. Yes, the monsters and such were a nice surprise, but the basic layout was the same as any other quest story. Also, I had to double check that is was meant for children. The use of strange and over-complicated words was an odd choice for a graphic novel in the children's market. On that note, some sections were rather disturbing, especially for children. The ice cream story, though as an adult I could kind of see where it was going from the start, was very gross and horrifying and I don't think it had a place in a children's book. While the monsters and things were creepy, they provided entertainment and continued the plot, whereas the animal cruelty sections were just too much. The overall combination of art and words was kind of weird too. Despite finding this in the graphic novel section, it was more like a really long picture book. The words just accompany the art, rather than being incorporated into it. It doesn't necessarily feel like a comic. Overall, I think the book would have benefited from being shorter. The whole thing felt like a rather bloated campfire story that just kept going and going. Okay read with amazing artwork, but the overall effect just wasn't there for me. 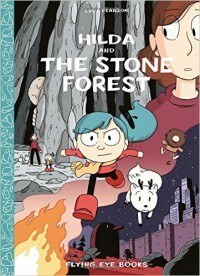 Another fantastic, amazing, superb Hilda adventure. I loved this book. It was so good. I was immediately hooked by the concept. As with the other books, I loved the story, I loved the characters. Everything was just perfect. This one does have quite the cliffhanger at the end. I am going to be freaking out about it until the next book comes out. Luckily, I have the Netflix show to keep me sane for a little longer. I loved this collection. I recently wrote a review for a book, complaining that all the characters did was argue with one another. The characters in this book argue on nearly every page, yet it was somehow still fascinating. Apparently it's the quality of the arguing that matters. A really interesting book that explores many topics such as parenting, politics, marriage, friendship, and jobs. I'll admit, it took me a little while to get into this. I really didn't like Mo's character to start. She just irritated me with her constant negativity and complaining. By the end, I could deal with her a little better, but it was all of the other characters (especially Lois) that really made this book for me. I just fell in love with those characters and wanted to follow their journeys through this crazy world.